NEWARK — The Murray Center for Women in Technology at New Jersey Institute of Technology (NJIT) will hold a one-day conference, “Women Designing the Future: Digital Realities, Today and Tomorrow,” on Friday, April 1, beginning at 8:30 a.m. in the university’s Campus Center Ballroom A. The event will feature interactive sessions with digital-technology experts on how conference participants can leverage emerging digital technologies, such as Virtual Reality (VR), to advance commercial business ideas and explore new digital careers in government, commerce and fashion. Attendees also will hear about the use of VR in “immersive digital storytelling” and have the opportunity to experience VR firsthand at an onsite VR demo. 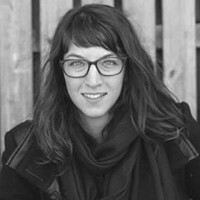 Mollie Ruskin, founding member of the U.S. Digital Service at the White House, will lead the first session of the “Women Designing the Future: Digital Realities Today and Tomorrow” one-day conference on April 1, 2016. “VR is not only helping to report the news, it is making news of its own, as major gaming companies are in the process of releasing blue-tooth-enabled VR headsets, film studies are churning out VR content, and large news organizations are looking to incorporate VR technology into their journalistic arsenals,” said Nancy Steffen-Fluhr, Ph.D., director of the Murray Center. “The rapid growth of the VR technology sector provides women in STEM and beyond with new and exciting career avenues. “Our conference will also examine the state of digital citizenship with a timely discussion on cybersecurity and online privacy, given the current Apple vs. FBI case surrounding the San Bernardino terrorist’s iPhone data,” added Steffen-Fluhr. Following a continental breakfast and opening remarks by NJIT President Joel S. Bloom and New Jersey Innovation Institute President Donald H. Sebastian, Mollie Ruskin, founding member of the U.S. Digital Service at the White House, will lead the day’s first session. She will discuss digital government and share a panel with Tai Cooper, Chief Policy Adviser to Newark Mayor Ras Baraka; Dr. Soon Ae Chun, President of the Digital Government Society; and Lauren C. Anderson, Founder/CEO of LC Anderson International Consulting and a retired FBI Special Agent. As a designer, Ruskin is responsible for improving the government’s delivery of inviting, easy-to-use digital services for the American public, and has worked on a variety of projects, from social-security benefits to immigration reform. Ruskin previously served as a Presidential Innovation Fellow at the Department of Veterans Affairs (VA), where she headed a design project to improve veterans’ access to VA services. Featured luncheon speakers include Jamie Pallot and Julie Young of the Emblematic Group, a pioneering VR company whose work has been showcased at the Tribeca Film Festival, TEDWomen and many international venues. Pallot and Young will demonstrate how they use VR technologies to create “immersive journalism” and also run VR demos of their pieces “Kiya” and “Project Syria.” “Kiya” garnered kudos at the 2015 Sundance Film Festival, and “Project Syria” was short-listed for the top prize in interactive innovation at this month’s SXSW Festival. Before joining the Emblematic Group, Pallot led digital initiatives at many well-known companies and was Editorial Director of Condé Nast Digital, where he won a National Magazine Award for General Excellence. Young was an associate producer on the Frontline documentary “Fast Times at West Philly High,” and also worked at Goldman Sachs and The Motley Fool. The day’s final session will focus on digital careers today and in the future, as well as digital data and entrepreneurship. Guests include Avis Yates Rivers, president and CEO of Technology Concepts Group International; Emily Reid, director of education at Girls Who Code; Karen Moon, co-founder and CEO of Trendalytics; Madison Maxey, co-founder of The Crated; and Denise Spell, CEO and chief innovator of Currant, Inc.
“Women Designing the Future: Digital Realities, Today and Tomorrow” is co-sponsored by the New Jersey Innovation Institute (NJII), The New Jersey Tech Council (NJTC), Covance, The College of Computing Sciences, NJIT’s CyberCorps® Scholarship for Service grant, Albert Dorman Honors College, the Technology & Society Forum, Sigma Xi, and IEEE Women in Engineering (Princeton chapter). Registered conference attendees will be able to park in the NJIT parking deck located on 154 Summit Street. For directions to NJIT, visit: njit.edu/about/visit/gettingtonjit.php. To register, visit: womendesigningthefuture16.eventbrite.com. Since 1995, the Murray Center for Women in Technology at NJIT has worked to ensure the sustainable advancement of NJIT women by facilitating individual growth, community interaction and institutional transformation. The Center provides an array of career resources for women students, faculty and staff, including networking programs for both undergraduate and graduate students. For more information on the Murray Center, visit: womenscenter.njit.edu.